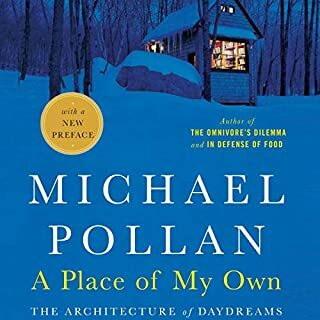 With this updated edition of his earlier book, A Place of My Own, listeners can revisit the inspired, intelligent, and often hilarious story of Pollan’s realization of a room of his own—a small, wooden hut, his “shelter for daydreams” — built with his admittedly unhandy hands. Inspired by both Thoreau and Mr. Blandings, A Place of My Own not only works to convey the history and meaning of all human building, it also marks the connections between our bodies, our minds, and the natural world. A rich, sweeping, and compelling work of botanical history, The Cabaret of Plants explores dozens of plant species that for millennia have challenged our imaginations, awoken our wonder, and upturned our ideas about history, science, beauty, and belief. Going back to the beginnings of human history, Richard Mabey shows how flowers, trees, and plants have been central to human experience not just as sources of food and medicine but as objects of worship, actors in creation myths, and symbols of war and peace, life and death. Can't wait to listen to again! In Mycophilia, accomplished food writer and cookbook author Eugenia Bone examines the role of fungi as exotic delicacy, curative, poison, and hallucinogen, and ultimately discovers that a greater understanding of fungi is key to facing many challenges of the 21st century. 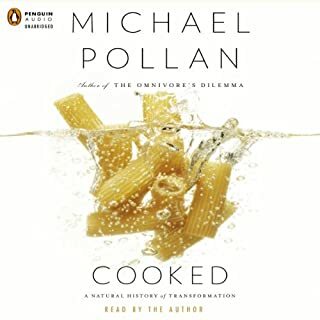 Why You Should Download This Audiobook: It's hard to believe how much interest one man can generate in plants, but Michael Pollan does it. And he's a bit of an iconoclast, revealing a side of Johnny Appleseed (think hard apple cider) you might not have known, and tiptoeing through generations of tulip hybridization to account for a dearth in rarity. Offbeat or unexpected nonfiction works like this are a pleasure to listen to, placing the most common of things in new light. We learned a lot from this audiobook. Every schoolchild learns about the mutually beneficial dance of honeybees and flowers: The bee collects nectar and pollen to make honey and, in the process, spreads the flowers' genes far and wide. 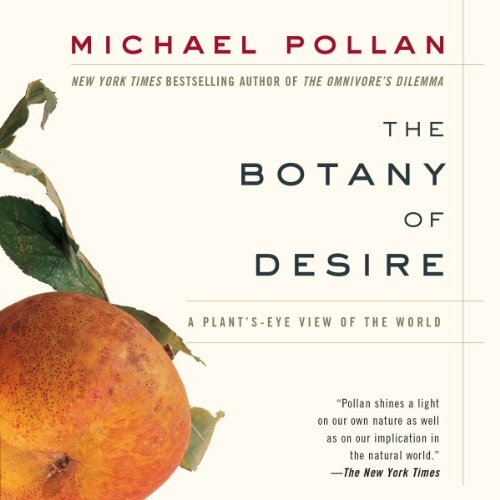 In The Botany of Desire, Michael Pollan ingeniously demonstrates how people and domesticated plants have formed a similarly reciprocal relationship. He masterfully links four fundamental human desires, sweetness, beauty, intoxication, and control, with the plants that satisfy them: the apple, the tulip, marijuana, and the potato. In telling the stories of four familiar species, Pollan illustrates how the plants have evolved to satisfy humankind's most basic yearnings. And just as we've benefited from these plants, the plants have also benefited at least as much from their association with us. So who is really domesticating whom? I realized my teenage children and I have listened to various parts of this book a dozen times already. Time to write a Review! Recommended to us by their high school teacher, this book discusses the history, science, and more regarding the apple, the lily, weed, and the potato. Don't miss this book - it is well read and not only very informative but a great story as well. This is one of those books that just gives you a lot to think about. I would actually suggest this book to anyone. Fitting narration, excellent content, something that anyone can appreciate. The narrator was pretty good, I wasn't falling asleep, I never thought that it was drawling on nor was I thinking it was being rushed. There were moments you can laugh at and it was also very easy to follow in the easy, cool tone the narrator had. The entire book was brought across very well. I have some friends who studied botany in in college who I picture would find the entire book fascinating. I majored in Chemistry and I found myself channelling my inner scientist by the Potato chapter wondering how I could genetically modify a Pumpkin plant, that's how thought provoking I found this book. Also, I can see someone with no affiliation with science also appreciating this book as long as they have an open mind. The book was not complicated in any way by having overly complex concept and was broken down in a form I think anyone could appreciate. I got this book as I like the narrator and it had so many great reviews. This book makes you think of the relationship between humans and nature - and in particular plants - in a whole different way. Johnny Appleseed is explained with many fascinating facts about apples and apple trees. Apples, Tulips, Marijuana and Potatoes are talked about and explained. I found the discussion on potatoes would be the most provocative. The book allows you to better understand the blight,why genetic engineering of foods is gaining a foothold, and the challenges of organic farming. Although I found the subject matter of this book interesting and appealing, it was Pollan's use of language that kept me coming back to listen more. It has been a long time since I have been exposed to such charming and lyrical prose -- a perfect accompaniment to the author's love of the subject. Or perhaps I should say "subjects" -- the choice of apple, tulip, cannabis, and potato provide a multidimensional view of human-plant interaction (and Pollan's passion for the topic) that would not be easily expressible in a more conventionally focused format. 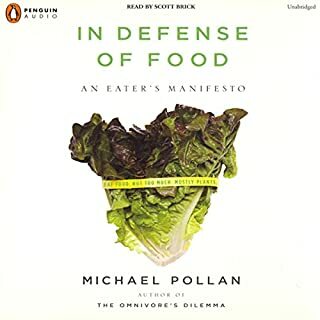 After reading the Omnivores Dilemma and In Defense of Food, I looked forward to reading this one. I knew it had been written earlier and was about the natural history of plants, but I enjoyed his other writings and found them insightful so I didn’t much care what it was, I’m a Michael Pollan fan. So, this turned out to be a quirky look at the history of how the Apple developed in North America, how the potato evolved and impacted Ireland and is being genetically modified today, how pot has gotten stronger as a result of the war on drugs and how the tulip evolved. Fun, funny and engaging not unlike Simon Winchester. Though, while Winchester is the proper old Englishman stumbling across interesting topics, Pollan is a stoner speculating about how plants evolve to make themselves attractive to humans for cultivation. I'm not sure where those negative reviews came from. The book was well written, informative and entertaining. It's really a history of 4 things from our daily lives: apples, tulips, potatoes, and Mary Jane. 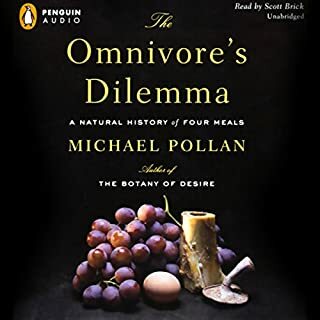 Anyhoo, I bought this book because I really like Omnivore's Dilemma. It wasn't quite as good in my opinion, but still very good. And the only reason I gave it 4 stars instead of 5 is because I read OD before and had another of his works to compare this one to. In short, if you like apples, tulips, potatoes or wacky tobaccy, you'll like this book. I greatly enjoyed the content of this book, but stopped listening to it and read a paper copy due to downright unbearable narration. I would only recommend listening to this book if you have previously listened to Scott Brick and actually like (or can suffer through) his narration style, which is characterized by inexplicably dramatic passages, comically mispronounced words and a cadence that could make you seasick. That said, some people love his style. I'm not one of them and therefore cannot recommend this book or any other book read by Mr. Brick. 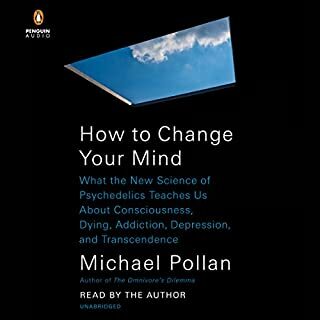 Michael Pollan has done extensive research and delivered it in an absorbing manner, of course with Scott Brick's help. He weaves history, philosophy and morality into the story of four plants. Fodder for many dinner conversations. You won't be disappointed! This is not a book for those looking for hard facts. Contrary to the book's description, you'll learn very little about the co-evolution of humans and plants. Most of the text consists out of lenghty contemplations and author's own, rather poetical, thoughts about humans and plants. 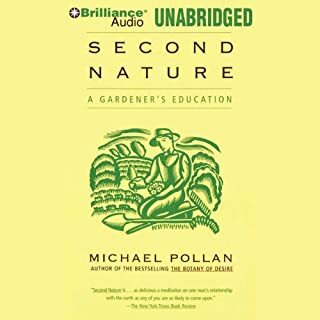 As a scientist who lectures in plant biology I was really excited to see an audio book with a botany theme. I was hoping to be able to recommend it to some of my first year undergraduate students to help them develop a wider interest of the subject. This book seems to lack substance - perhaps if I had absolutely no background whatsoever to this subject I might find it of some interest. However the overwhelming majority of it just seems to be common sense (even for someone who is pre-GCSE) and then rambles on about not very much. Please can someone add a proper book on botany/plant science. The Great Courses Biology book was great but fairly broad so wasn't able to cover this area in any detail. Mostly pointless, contextually incomplete trivia. If you want to get into discussion about cannabis with someone who knows about it, this isn’t the book to source your information from. Otherwise, is there much call from people about how we as humans have coexisted with potatoes/tulips /apples for millennia, that we should write books about it?